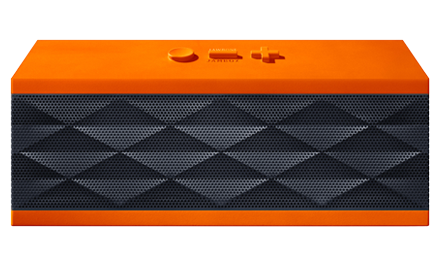 On August 28, Jawbone will allow people to customize their own Jambox Bluetooth speaker, in more than 100 possible combinations for just $199. 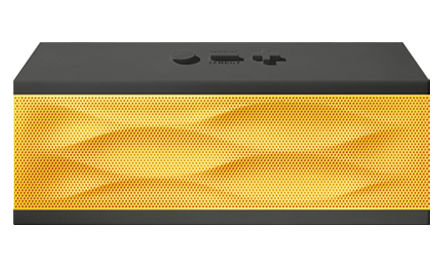 The Jawbone Jambox Bluetooth speaker has always offered tinkerers the freedom to choose a custom voice through its MyTalk platform, but the company just announced even more customization down the line. Beginning August 28, you'll be able to build a unique Jambox using 13 grille and nine cap colors on the newly remixed Web site. The combinations offer more than 100 possible permutations to fit your favorite palette. I recommend using Wes Anderson's cinematic aesthetic as inspiration, but you can start anywhere you'd like. The best news, though, is that your Jawbone remix won't cost more than the stock colors at $199. If you can't stand the pressure or simply don't want to wait for the August 28 release date, the limited-edition Charity: Water and Orange Graphite models are available now for the same price. One final note: the company hasn't announced any plans to remix the Big Jambox, but it's certainly not out of the realm of possibility, so be patient.